The Play Console's Device Catalog, which is normally used to see the install base of a certain app across phone models, now includes listings for "bonito" and "sargo." Very little information is currently available, but there are a few details of interest. 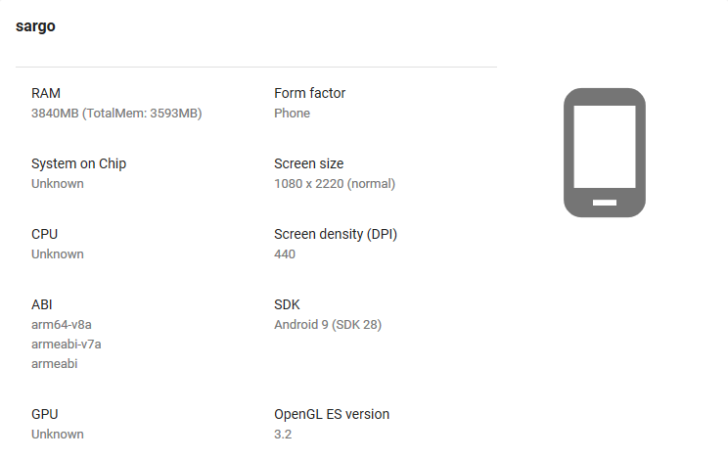 Sargo, which reports have indicated is the Pixel 3a, has a 1080 x 2220 display with a screen density of 440 DPI. It's running Android 9, with an unknown Snapdragon processor and 4GB of RAM. The list of system features confirms the phone will support NFC, which isn't always a given with U.S. budget phones. Several Verizon-related strings appear to confirm that the phone will be sold on Verizon, as we reported last year. The "com.google.hardware.camera.easel_2018" feature means Sargo might have the Pixel Visual Core. Another system feature has the label "com.google.android.apps.photos.PIXEL_2019_MIDYEAR_PRELOAD," which points to mid-2019 release date. Perhaps the phone will go on sale around Google I/O? The listing for Bonito reveals a resolution of 1080 x 2160, a screen density of 400 DPI, 4GB of RAM, and Android 9 Pie. Again, no specific processor is mentioned, but there are references to Qualcomm Snapdragon. The lists of system features and shared libraries are identical to Sargo, which means the same mid-2019 availability and Verizon support is likely. 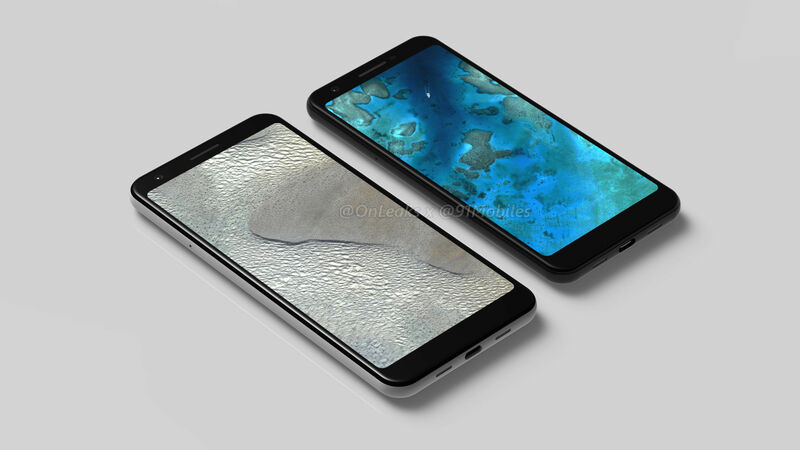 Hopefully, Google will officially release the pair of phones soon. The United States could really use more good budget phones — assuming Google prices them like budget phones.